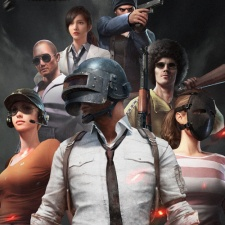 Tencent’s PUBG Mobile has been downloaded over 100 million times on Google Play worldwide. The mobile port of Playerunknown’s Battlegrounds hit the 100 million downloads milestone across both iOS and Google Play earlier this year. These figures however didn’t account for China, Japan and Korea. 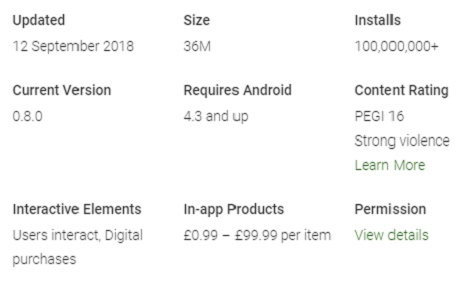 PUBG Mobile’s Google Play store listing (below) now confirms that the Android edition has hit that same 100 million install count. This does not include the Chinese version of the title, of which there are two separate localised releases. According to Tencent and PUBG Corp, PUBG Mobile was one of the fastest games to become the most-downloaded mobile game in over 100 countries. While not represented in these download figures, PUBG Mobile is still wildly popular in China. But due to a lockdown on game licensing in the region this year, Tencent is yet to see any money from one of the most downloaded mobile games in China. Bunny Bunny is a very simple and high quality graphic adventure run game with simple click controls. Bunny Bunny FREE running game for Boys and Girls of all ages. It has the best fun run game with nice graphics. only click the screen to make your bunny to jump all obstacles. Bunny Bunny (Rabbit) Game has been designed for Boys, Girls and families to have ultimate fun!